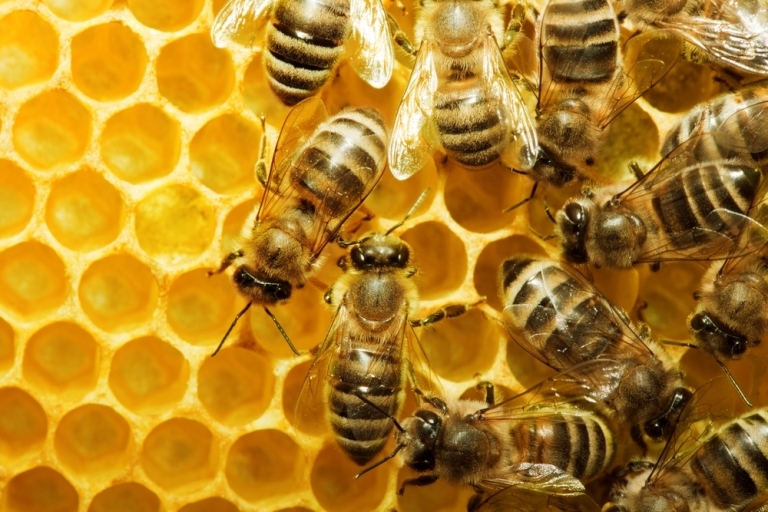 Honeybees are giving humans a sustainable buzz! 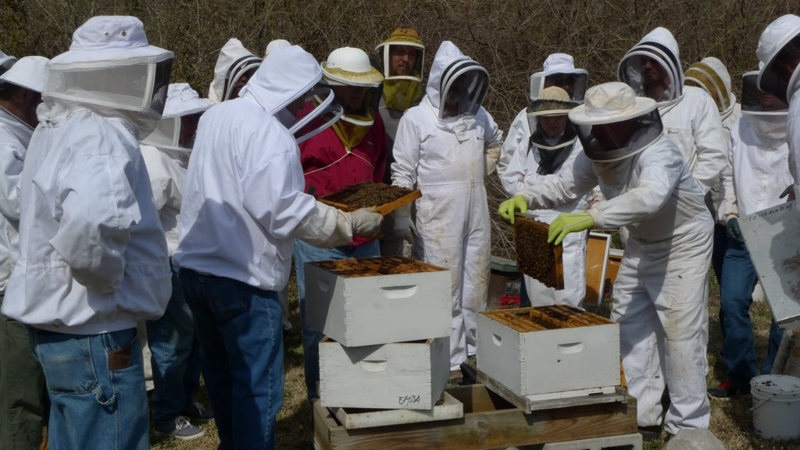 Eastern Missouri Beekeepers Association will host their 10th annual workshop for beginning and advanced beekeepers on Saturday February 11th. Local beekeepers - at hobby and commercial scales - gather at this event to learn basic and advanced apiculture from guest faculty and each other. Local beekeepers and EMBA members, Steve Rudolph and John Pashia, are joined by Paul Kelly, who is Research and Apiary Manager in the School of Environmental Sciences at University of Guelph, Ontario. Paul is coming to St. Louis as guest faculty for the advanced course in the EMBA workshop. We buzz about: Virroa destructor, the mite pestilence wreaking havoc in bee colonies across North America; honeybee health measures that are evolving to work with bee biology and habits, vs. techno-fixes; some beekeeping history; what folks like about interacting with these industrious insects - and of course, those enjoyable products of the hive. 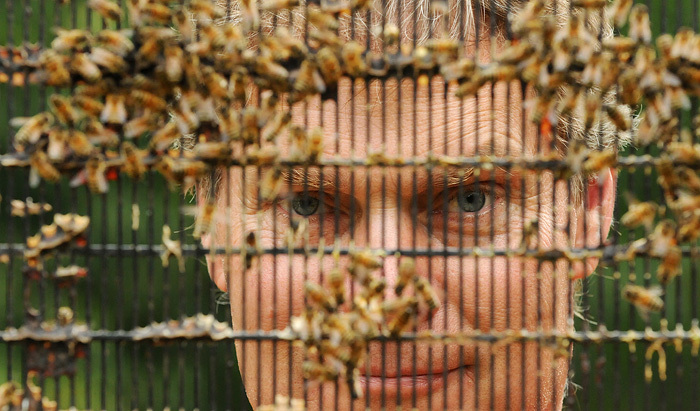 Beekeeping is a popular, fast-growing hobby among sustainably-minded humans. And bees are essential partners in producing over half of the foods our society eats. If you've thought about beekeeping, now's the time to get to learn more! Music: Divertimento K131, performed live at KDHX by Kevin MacLeod, February 2009. THANKS to Earthworms engineer Josh Nothum, joined this week by Andy Heaslet. Honeybees, among all types of pollinators, pollinate over 1/3 of all U.S. foodstuffs. And they are in trouble. Colony Collapse Disorder is just one of a hive of serious issues compromising the health of honeybees kept by commercial-scale and hobby beekeepers, here and abroad. Many stakeholders share concerns - and conflicting views - about honeybee health: agricultural growers, government agencies, pesticide and herbicide manufacturing corporations, scientists, academics and - of course - beekeepers at every honeybee husbandry scale. Why can't these interests concur about causes - and work toward solutions - to critical bee-health issues? Researchers from the University of Wisconsin explored what is "credible" and "trusted" amid the human buzz of bee-related viewpoints, while also digging into bee health issue details. Biologist Dr. Sainath Suryanarayanan talks with Earthworms host jean Ponzi about this work. 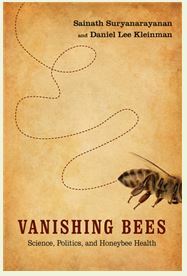 He co-authored the new book "Vanishing Bees: Science, Politics, and Honeybee Health" (Rutgers University Press, 2016) with sociologist Dr. Daniel Lee Kleinman. Suryanarayan is Associate Scientist for the Study of Trans-Disciplinary Biomedical Research, Department of Population Health Sciences, UW-Madison. 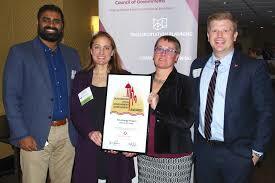 THANKS to Josh Nothum, Earthworms engineer, and to Peter Bermudes of Gail Leondar Public Relations. MORE ABOUT BEES from Eastern Missouri Beekeepers coming in the January 24 Earthworms podcast. We all know that using less energy pays (don't we?) by cutting utility bills, reducing demand for fossil fuels and belching less carbon into Earth's climate. But the issue of how to pay for energy efficiency upgrades to your home or commercial property can be a hurdle too high to leap. Enter PACE, Property Assessed Clean Energy, a financing process that ties the value of improvements - and lending to support them - to the value of your property, not to your personal credit capacity. Across Missouri, including the KDHX service area, the HERO program is connecting municipalities (they levy property taxes) to lenders to energy-smart contractors to property owners to build PACE into our energy usage. John Maslowski, VP of Marketing and Development for HERO in Missouri, tells Earthworms host Jean Ponzi the what-why-how of PACE. The program's website includes a spiffy animation that explains it too. John and Jean go into what kinds of efficiency measures HERO can finance, connecting with contractors, and what's in this benefit package for local communities and property owners. In the KDHX listening area, HERO is available in 7 St. Charles County and 14 St. Louis County communities, the City of Arnold in Jefferson County, and all of Franklin and Greene Counties; also in the Kansas City and Columbia areas. Check with your mayor or City Manager if your municipality is not on the HERO list; other PACE programs are at work here too, or PACE can come to your community. PACE is a great deal. We hope this podcast energizes you! Music: Lime House Blues, performed live at KDHX by the great Del McCoury, August 2013. Related Earthworms Conversations: Energy Efficiency: Policy, Financing and Relationships that Power It All with Josh Campbell, Missouri Energy Initiative - September 2016. Think about how we get around town, if stuff we want and need to get to is close enough to where we live, work, learn and play that we don't have to use a car to get there (or at least not all the time). If our neighborhoods feel lively, safe, healthy and productive. This is all part of the national movement called Smart Growth, practiced by community builders like Earthworms guests Dana Gray and Eric Friedman, who are both local champions of equity, sustainability, creativity and prosperity - for everyone in the St. Louis community where they live and work. 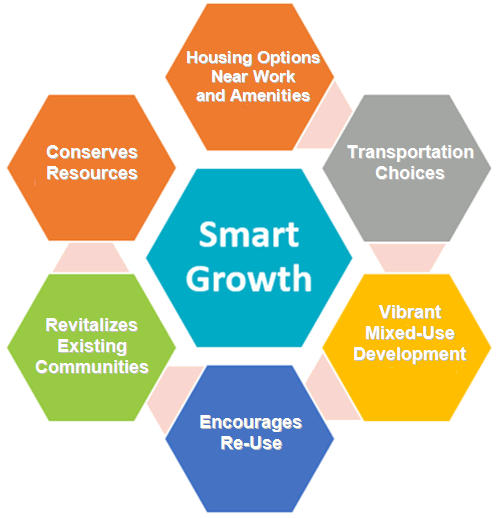 Smart Growth is a trend prompting economic, social and environmental benefits in many U.S. cities. In St. Louis, the concept has grown some good roots and sprouted in places like South Grand Boulevard, Washington Avenue downtown, the Delmar Loop and Old North St. Louis. Efforts of community-builders in many places are moving out town in smarter directions, at a pace we will define in positive terms as gathering steam. Evidence of this movement here is that the Local Government Commission is bringing their annual New Partners for Smart Growth national conference to The Lou from February 1-4. A special FREE day of Smart Growth skill-building and networking events has just been announced, DIY Great Cities on Wednesday February 1 - a scoop on this Earthworms podcast! YOU could become a Smart Growth advocate in your neighborhood, with benefits cycling directly, sustainably back to your family, friends, and neighbors. Check it out! 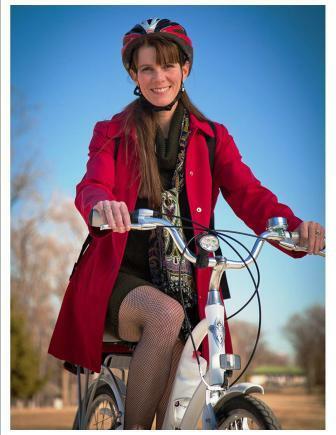 Dana Gray is the Community Outreach Coordinator for the Tower Grove Neighborhoods Community Development Corporation. Eric Friedman is real estate and development professional, principal of The Friedman Group commercial real estate company, and founder of Housing and Community Solutions. Both have been instrumental in bringing National Partners for Smart Growth 2017 Conference to St. Louis. Music: Cookie Mouth, performed live at KDHX by The Provels, January 2015. THANKS to Josh Nothum, Earthworms engineer - and to Jon Valley.